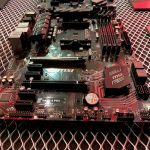 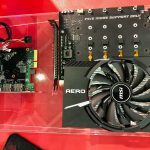 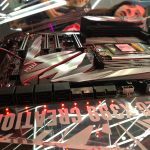 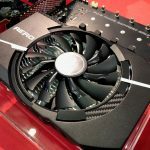 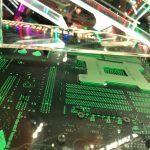 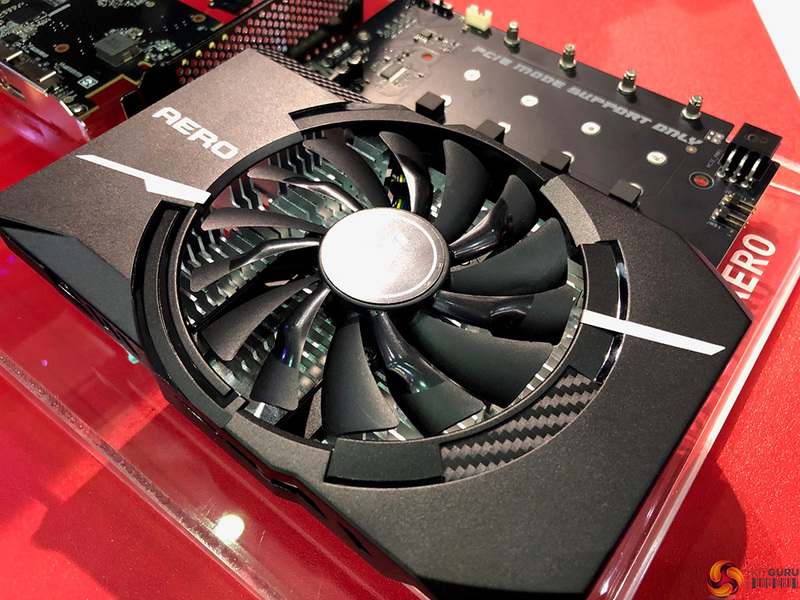 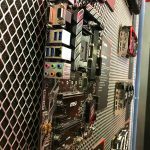 Today at Computex we had the chance to swing by the MSI booth to catch up with their latest announcements. 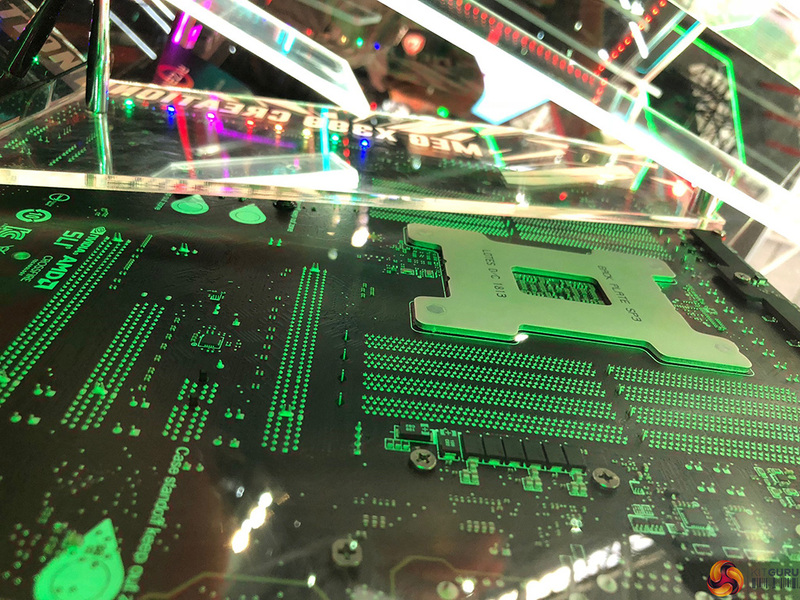 We’ve already seen two new ‘thin and light’ gaming notebooks announced, but today we also had the chance to check out a brand new X399 prototype motherboard and two new boards for the B450 chipset. 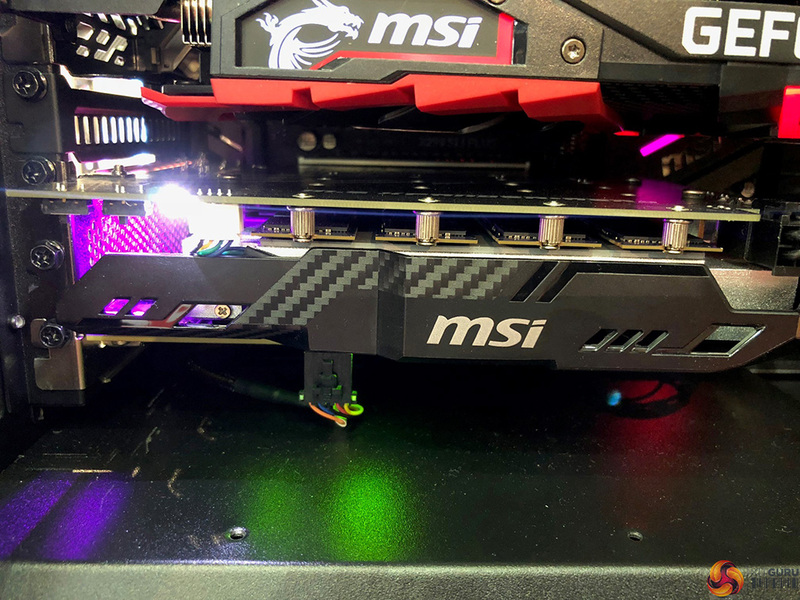 There is even a new M.2 PCIe expansion card on the way, allowing you to fit up to seven M.2 SSDs into your rig. 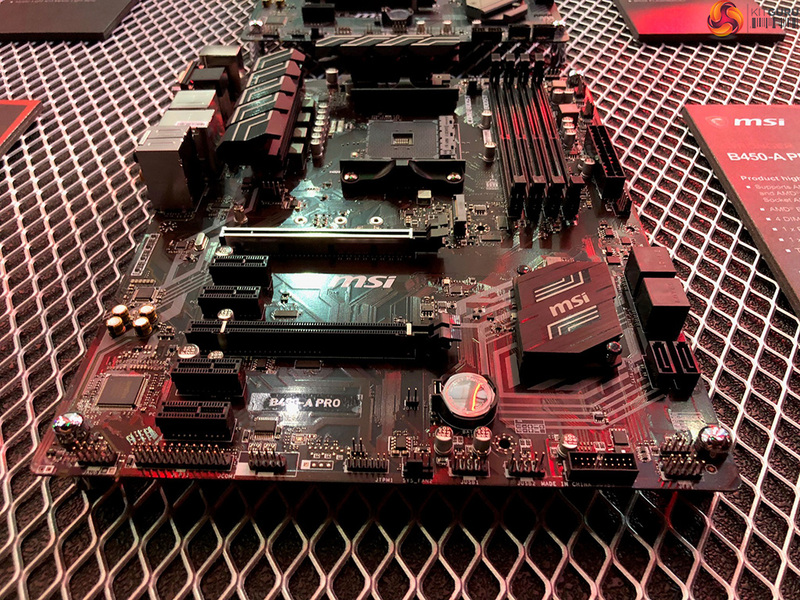 We’ll start off with the new X399 prototype, which you can see in the images above. 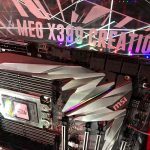 This is the new MEG X399 prototype, which should go into production towards the end of July. 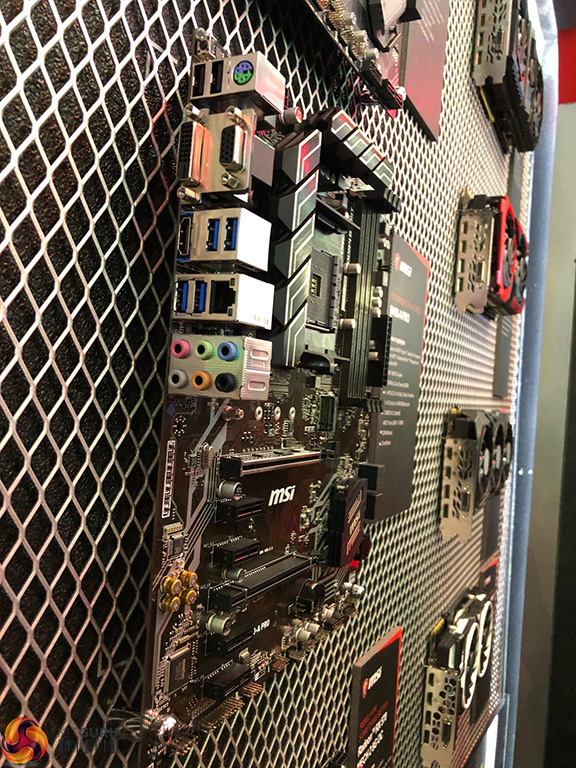 For this one, MSI’s R&D team were given free reign, and they used that opportunity to create quite the spec-sheet. 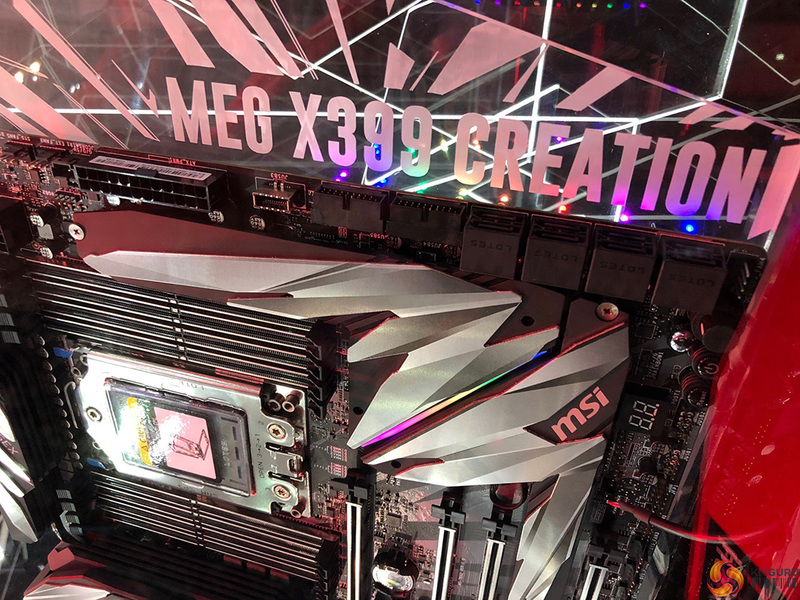 The MEG X399 has eight memory slots, four PCIe slots and a 19 phase digital power design. 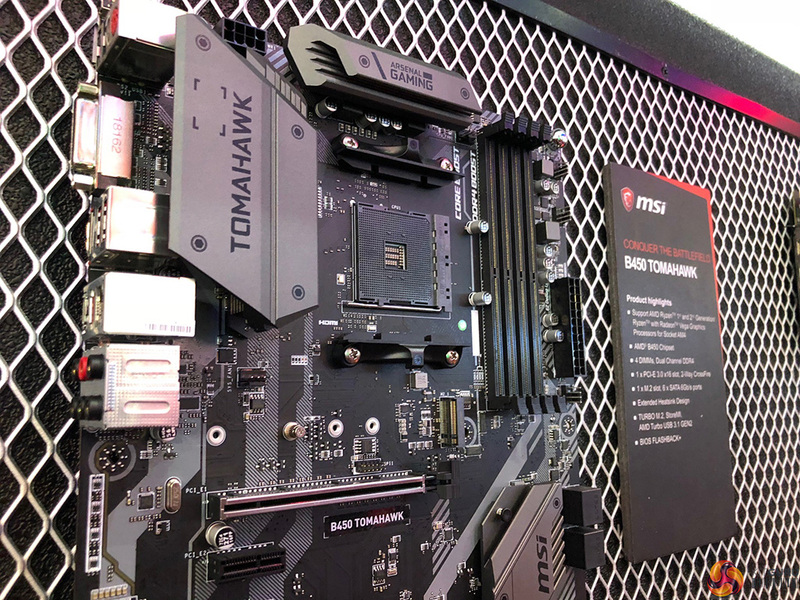 Beyond that, there are ten PWM fan headers, three dedicated thermal sensors and built in WiFi for 2×2 802.11ac and Bluetooth 5.0. 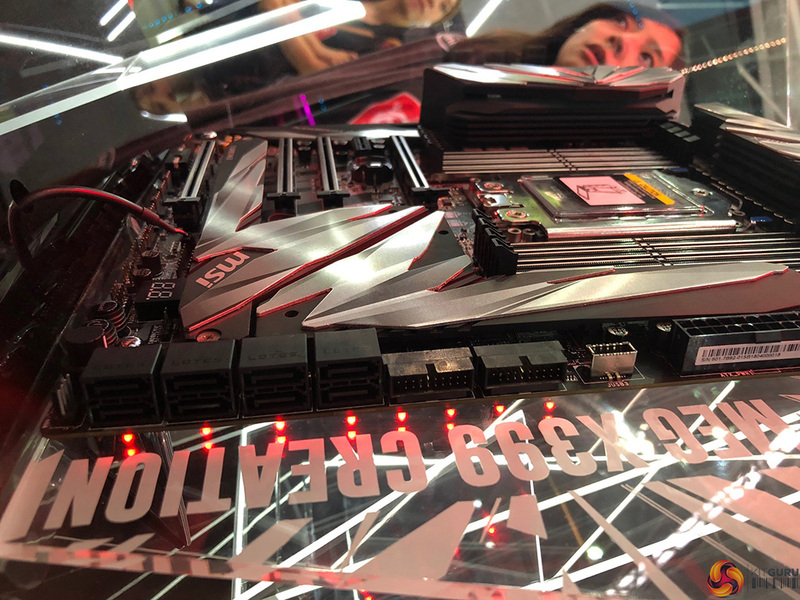 The target price for this board is $499, but we don’t know exactly when it will be coming to market just yet. 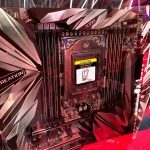 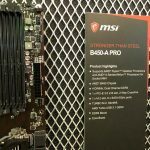 On the B450 front, MSI has quite the line up at Computex this year. 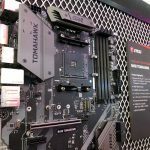 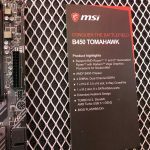 There is a new B450 Tomahawk with new and improved overclocking tools, a new BIOS reflash button and a $150 price tag. 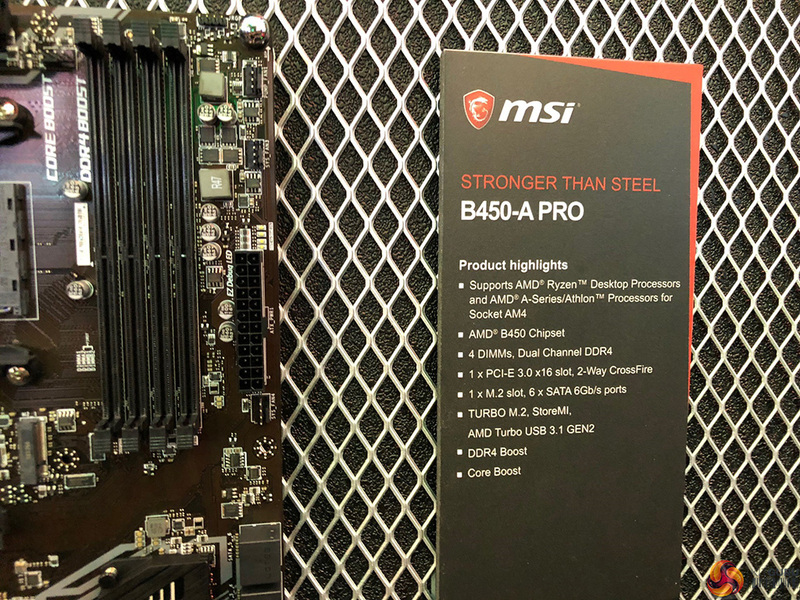 The B450-A Pro on the other hand comes in at $100 and is a bit more ‘standard’ in terms of feature set. 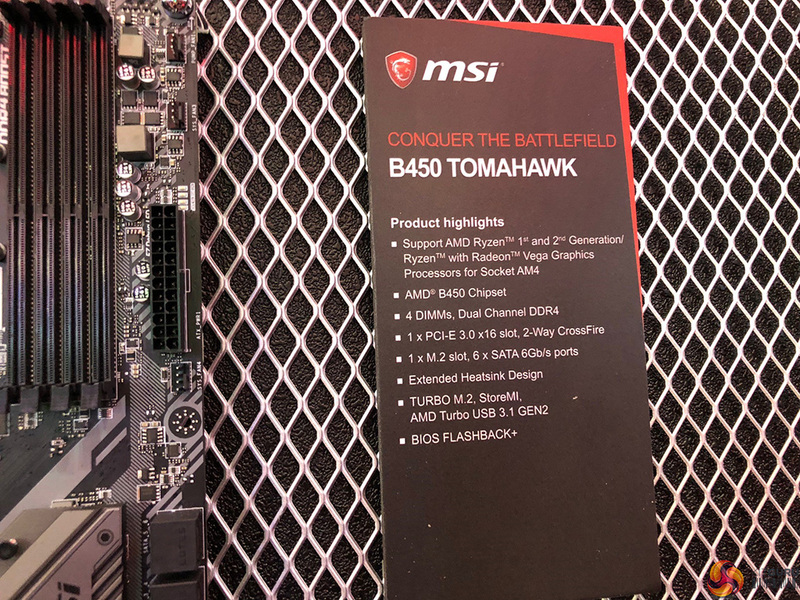 Finally, MSI also showed off a new PCIe expansion card, which essentially acts as an aircraft carrier for M.2 drives. 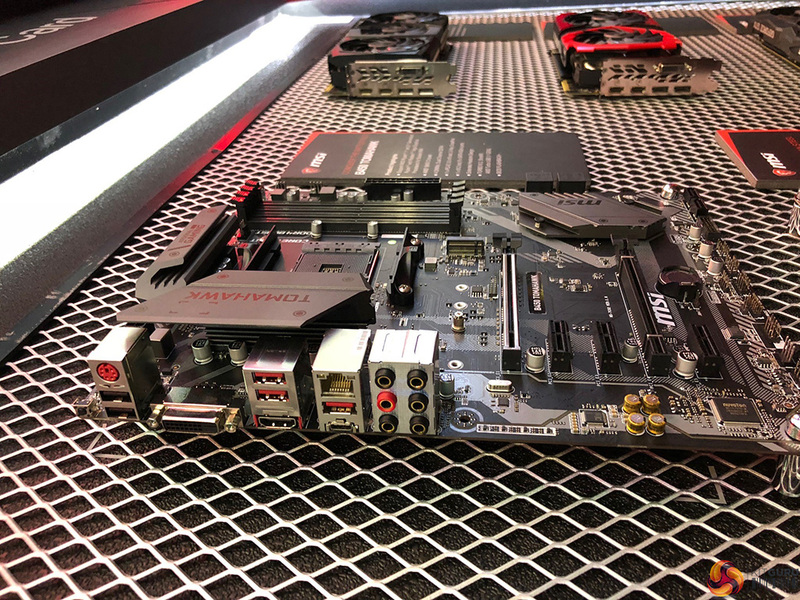 Many of MSI’s current motherboards already come with three M.2 slots, but this new card will give you room for an extra four. 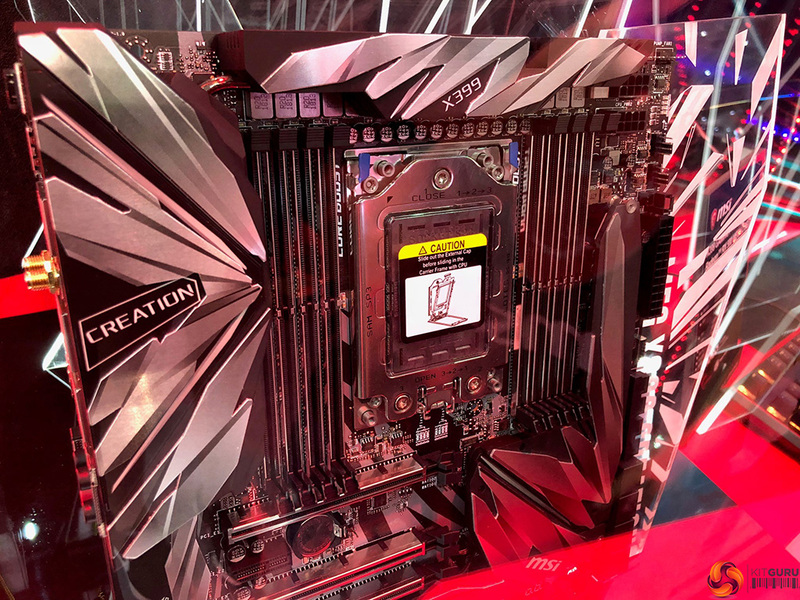 So for instance, this, combined with the MEG X399 would give you seven M.2 slots. 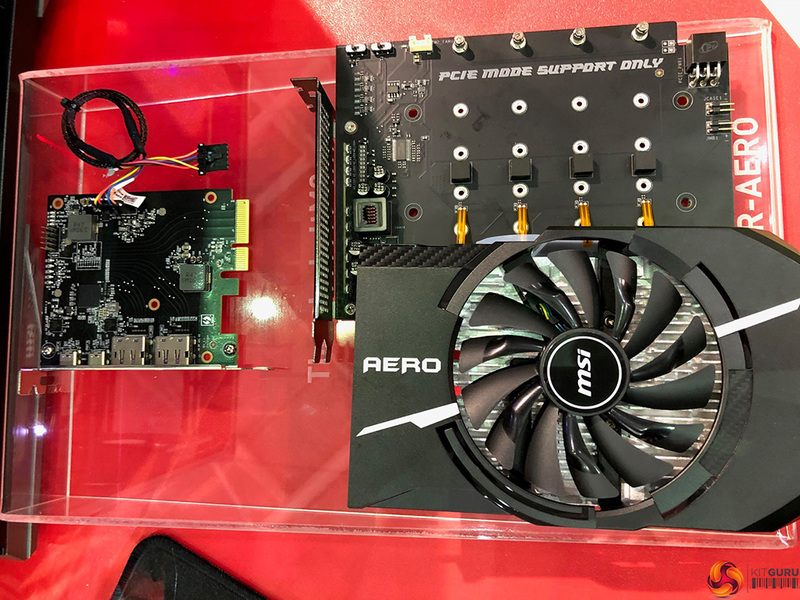 Once all of the M.2 drives are attached to the PCIe card, cooling is handled by an air cooling fan, which comes in the usual MSI style. 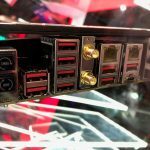 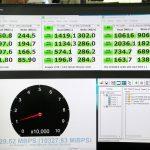 The MSI Xpander-Aero will be launching in July but a final price tag has yet to be nailed down. 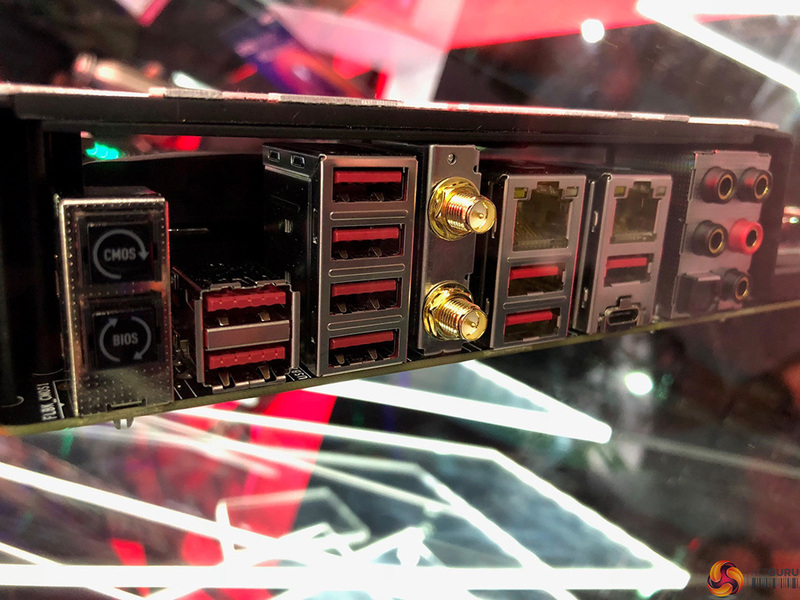 In theory, you could get 22TBs of M.2 SSDs running on a PC with one of these, though you would need 16 lanes per card to keep things functioning at full speed. 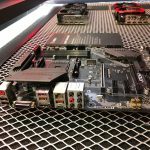 KitGuru Says: My current system only has one M.2 slot, so an expansion card is actually quite appealing. 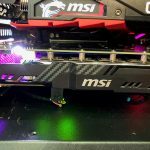 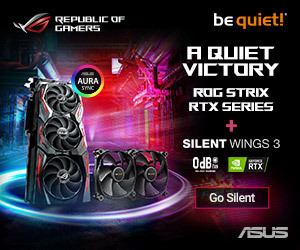 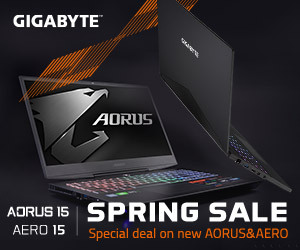 What do you guys think of the new announcements from MSI so far?